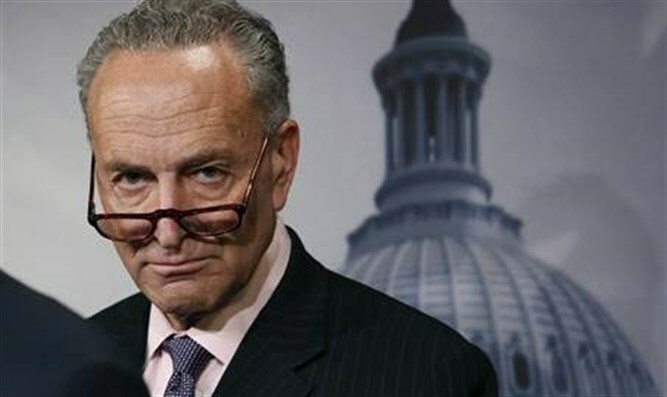 US Senate Minority Leader Charles Schumer (D-NY) offered rare words of praise for President Donald Trump for opening the US embassy in Jerusalem Monday. “In a long overdue move, we have moved our embassy to Jerusalem. Every nation should have the right to choose its capital. I sponsored legislation to do this two decades ago, and I applaud President Trump for doing it,” Schumer wrote. Senator Schumer has stated that he advised President Trump to recognize "united Jerusalem" as the capital of Israel. Schumer had previously criticized Trump's "indecisiveness" on the relocation of the US embassy. “As someone who strongly believes that Jerusalem is the undivided capital of Israel, I am calling for the US Embassy in Israel to be relocated to Jerusalem," he told the Jewish Telegraphic Agency in October. In 1995, Congress passed the Jerusalem Embassy Act. The act called on the US to relocate its embassy in Israel from Tel Aviv to Jerusalem. Former Presidents Bill Clinton and George W. Bush had all pledged that they would move the embassy to Jerusalem. However, they and former President Barack Obama signed a presidential waiver delaying the transfer of the embassy every six months.